Prissy is a gorgeous little girl with a wonderful personality to match! She would make the perfect addition to your family and a great way to start the New Year! She’s pre-spoiled and is treated like the little princess she is. Imagine waking up to loving puppy kisses every morning! With her gorgeous color she will make y’all the talk of your town. Hurry, this cutie has her bags packed and is ready to venture off to her new home!. My new name is Tootsie and on my new home is Ormond Beach, FL . 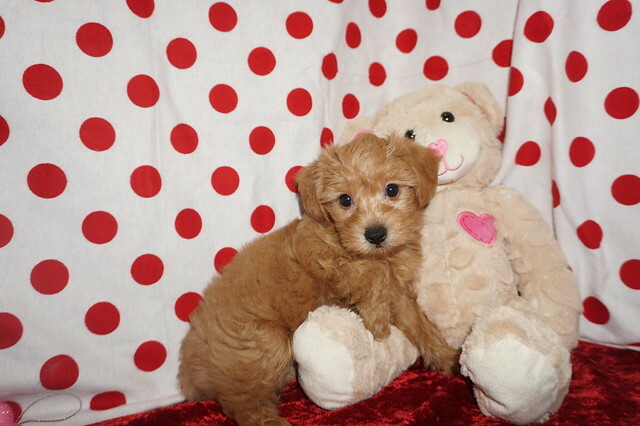 « SOLD Bowzer Adorable Loving Black Male CKC Morkipoo Ready To Be Your New BFF!